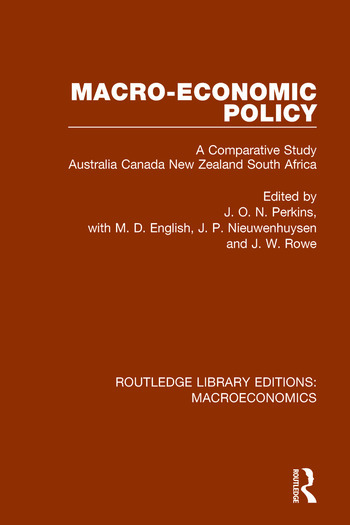 When it was first published in 1972, this was the first book to analyze the experience of Australia, Canada, New Zealand and South Africa in the field of macro-economic policy. The characteristics of this group of countries gives them much in common with both industrialized and emerging economies. Their experience of economic policy-making has, therefore an unusually wide relevance.